Seeking greater artistic freedom, he opened an illustration studio and was met with immediate success, establishing his national reputation. Still, Mell felt that he hadn't yet found his voice as an artist. 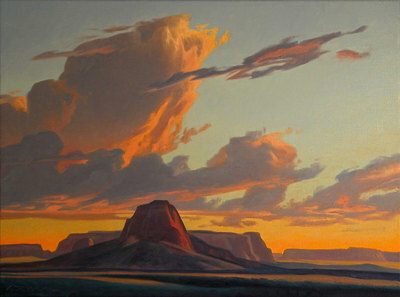 Ed Mell, Chinle Butte , Oil on Linen, 30" x 40"
Seeking a break from the city's pace, he accepted a teaching position the Hopi reservation in 1970. 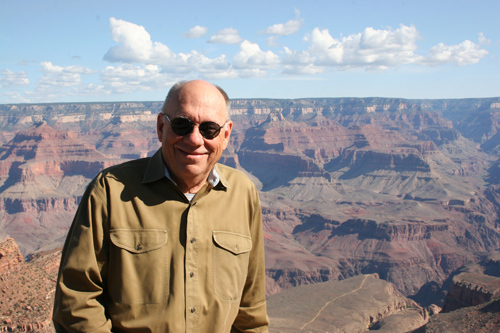 Time spent on Arizona's Colorado Plateau reconnected Mell with the land he loved and his artistic course was set. 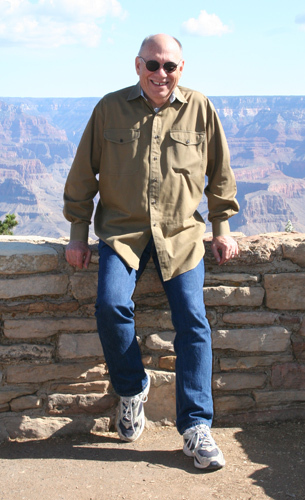 He relocated to Phoenix and began painting his well-known landscapes. Mell's creative drive has led him to produce bronze sculptures and print series in addition to his oils. 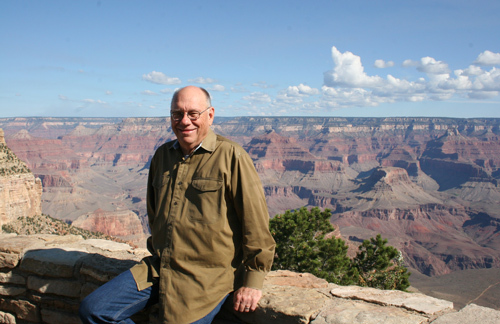 Ed Mell's work is found in many public and private collections including those of Tri-Star Pictures, Phoenix Art Museum, Kartchner Caverns State Park, Diane Keaton, Arnold Schwartzenegger, and Bruce Babbitt. 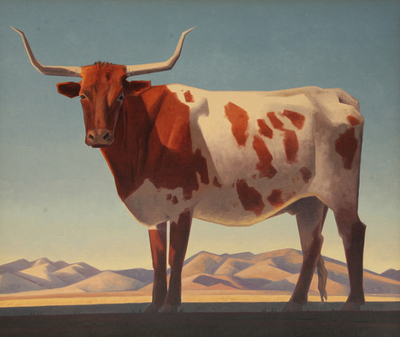 Ed Mell, Patagonia Longhorn, Oil on Canvas, 34" x 40"